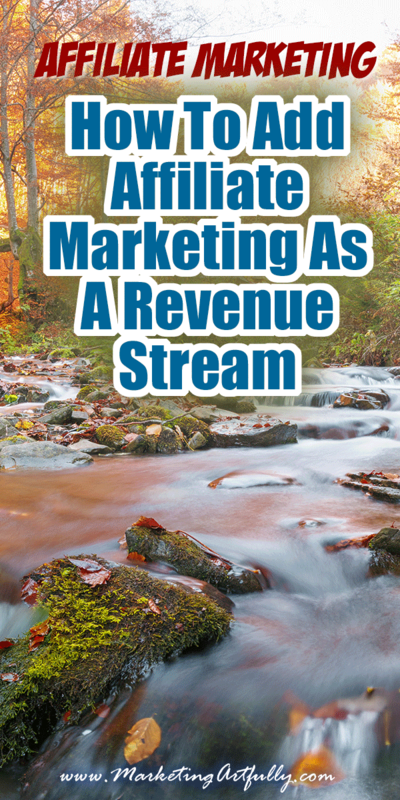 Many of my peeps have asked about how to do affilate marketing, adding it as an additional revenue stream to their “regular” business model. Here is a step-by-step guide to how I added affiliate marketing to my business empire. Not just the “what you should do” but also tips and ideas that I have accumulated over time! Affiliate marketing is when you suggest a product for people to buy from your email list, website, videos or social media. Once they click the link from your marketing, they get a “cookie” set on their computer that claims them as yours for a fixed period of time (could be 24 hours or could be a year). If they buy the product that you recommended, you get a commission on that product. Some affiliate programs pay out daily, some weekly and some monthly. If you are here, you may have tried affiliate marketing in the past and think that it is hooey! No one ever clicks on your links and if they do they never buy anything. Or you set up a big-ole site and put all kinds of Amazon links on it and nothing… you made $3.46 from all the clicks. I know that feeling because I have done all of those things and was at the “throw in the towel and give it up forever” state myself. I thought I knew what I was doing and was just sucky at affiliate marketing. But then I started doing things differently and changes started happening! I started being in some quality programs that matched my audience and I kept making more and more each month. Now I am sitting at about $2K a month from affiliate sales which is great considering I functionally do almost nothing and the checks they just keep rolling in! This is because I matched my affilate marketing efforts with my “regular” business so I didn’t have to build out big chunks of marketing. 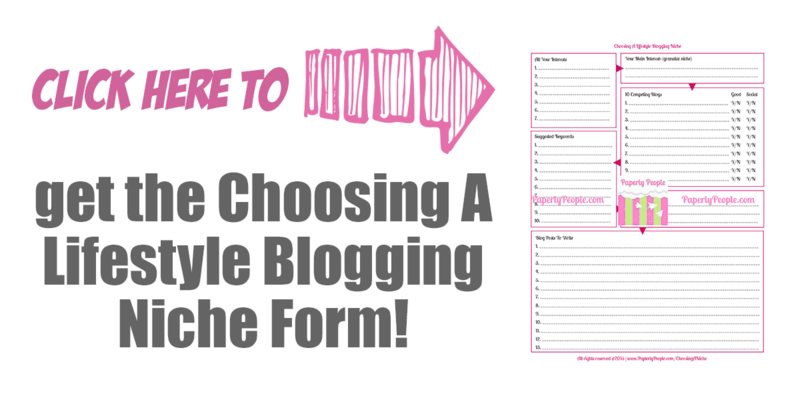 Instead I include affilate links for marketing products I already use in my business, links to planner supplies that I really do use (I am a total planner nerd) and then random things as they come to my attention. You can do this too just by being aware of what is going on in your business and personal life! Okay, this may be a hard one for some of you who have been doing research for a while. “Pick a niche” is a common term that is thrown around without much helpful advice to go along with it. First off, let’s talk about things that could make a good niche for you! So my interests are functionally business, crafts and hobby, pets, kids and green living. Now, there is a school of thought that you should pick a lucrative niche and then do affiliate marketing to that niche. For example, “middle aged conservative men who are preparing for the government to overthrow us” is a highly lucrative niche. You can sell them guns, flashlights, “prepping” books, camping gear, plus a whole host of other things. And if those are your people and you enjoy talking them, then that is great! BUT, if you are a middle aged mom who likes to refinish furniture, hug trees and go to your kid’s lacrosse games, it may take a whole lot more work to get fired up about writing another email about end times and why you should start protecting yourself against your neighbors! Better to find something that you actually like and can talk intelligently about than to have to work so hard to do it week in, week out. The reason to pick a niche is so that you can start to build an audience of people who think you are an authority on your topic. I call this the “right of first refusal” model. I like marketing and business so I want to be the person entrepreneurs go to when they have a marketing question. Does that mean I have to have every answer or build every course for them? NOPE! It means that if someone emails me and asks me how to do Pinterest marketing I have two gals I love who I have affiliate links for courses that I can refer them to! Since we are talking about adding affiliate marketing to your “already done” website or blog, you might pick a part of your business to focus your affiliate efforts on! For example, a real estate agent might add travel affiliates if she does a lot of “tour of the town” videos or blog posts. This would not compete with her real estate practice, but she might be able to make a wee bit of money if someone sees her cool video about Dunedin Florida and then books a trip! 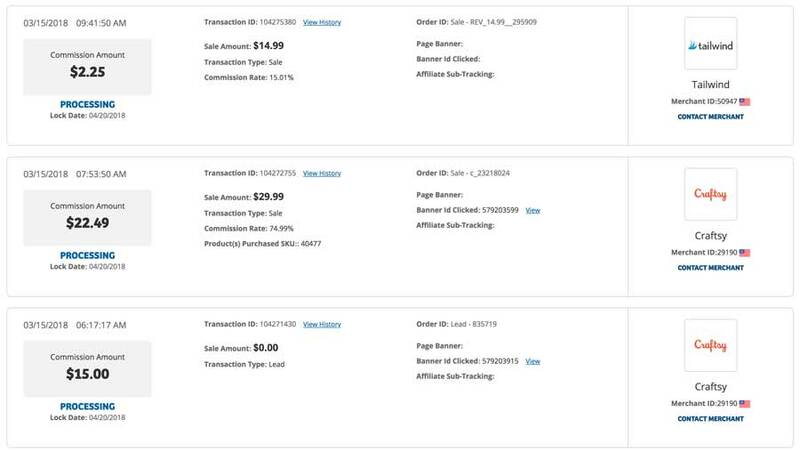 Or an accountant could use Amazon affiliate links on a resource page to his favorite calculators, forms or business supplies. Or he could partner with his favorite online payroll service as an affiliate and get cut every time he recommends that product. I know many of you are trying to add more income rather than making affiliate sales your primary job! Once you have done this and figured out your interests, you need to start seeing if there are any affiliate products associated with that interest. 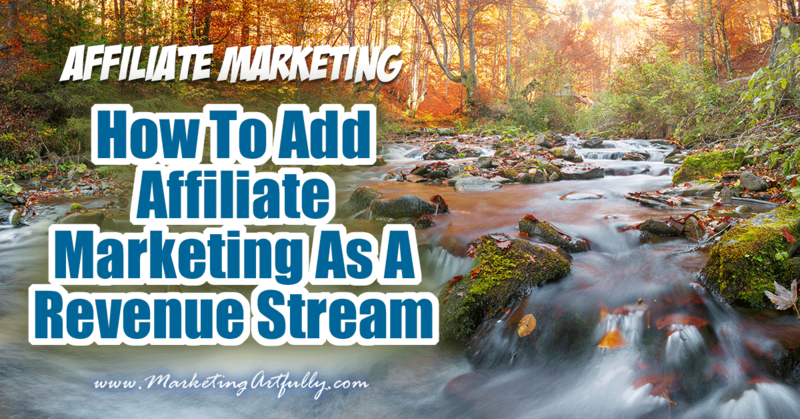 There are affiliate programs for pretty much any interest out there, but some are easier to do than others! Let’s go with a topic my friend Donna is looking for, Essential Oils and Spiritual Living. I suggest you start with Clickbank because they mostly sell digital products or software and will let almost anyone become an affiliate! This is good because at this point you really aren’t a “good” affiliate since you are just starting out. Simply sign up and go to “Marketplace” at the top and do a search. 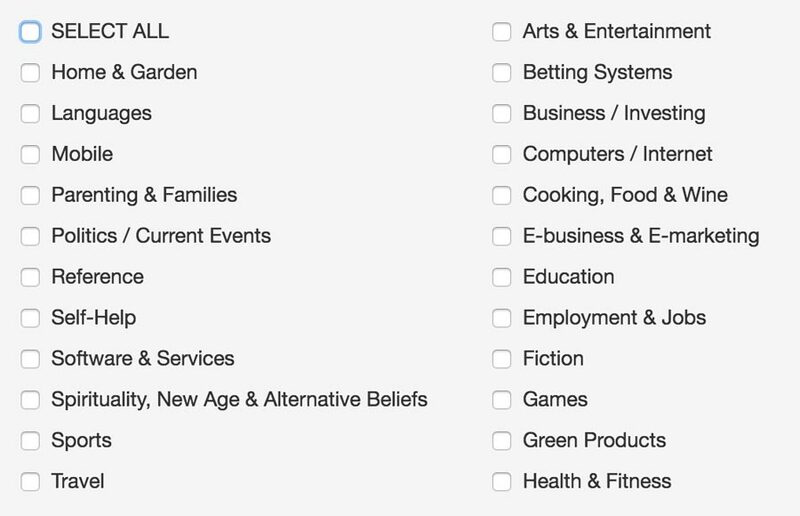 I searched for “alternative beliefs” and found 41 items for sale. Now these may not be amazing products, but right now we are just researching to see if there are products to sell our airy fairy people. So yep, there will be some things that Donna can promote right off the bat! The nice thing about the Clickbank sellers is that they are judged on how well their offers convert (meaning that if you send them some people who click on your links, then they will get a sale and you will get a commission). Many of you will not want to use a site like Clickbank because their products are not professional enough (I don’t use Clickbank for that reason). But I do use Amazon products and am always surprised at how often I recommend a specific book or product that I can grab an Amazon link for! The bar is really low for becoming an Amazon affiliate too, so this is another great program to join! 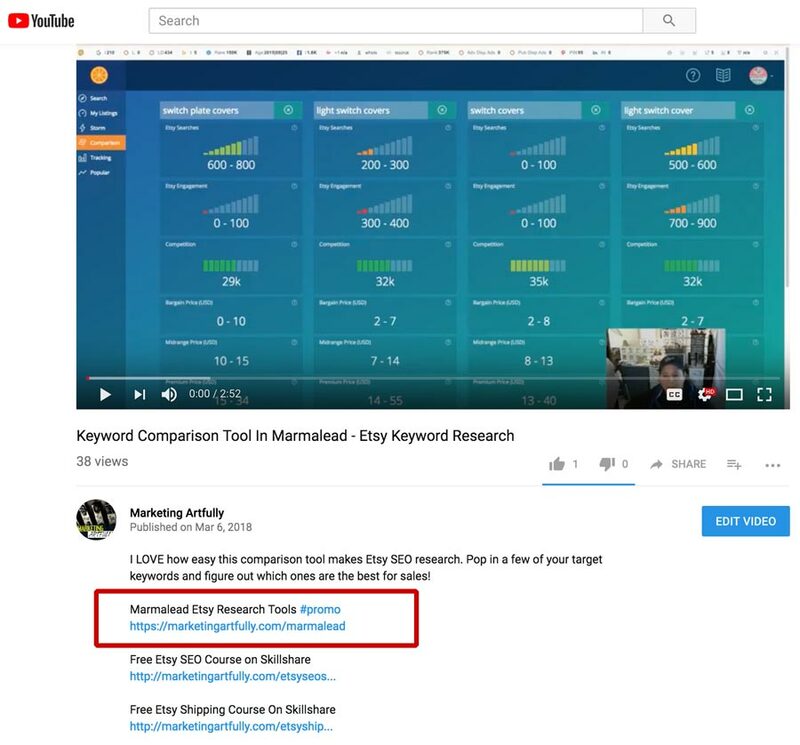 Once you have an account you can add a Stripe link bar to quickly make a link anytime you recommend an Amazon product in a blog post or video. Now, please note that you will probably not make millions of dollars as an Amazon affiliate. Amazon pays between 3-8.5% depending on what you recommend and the “cookie” that claims that shopper as yours only lasts 24 hours. The nice thing about Amazon is that they have other things than what you have recommended so you could send them there to check out your favorite book and they could buy a big screen TV and you would get a commission on that! 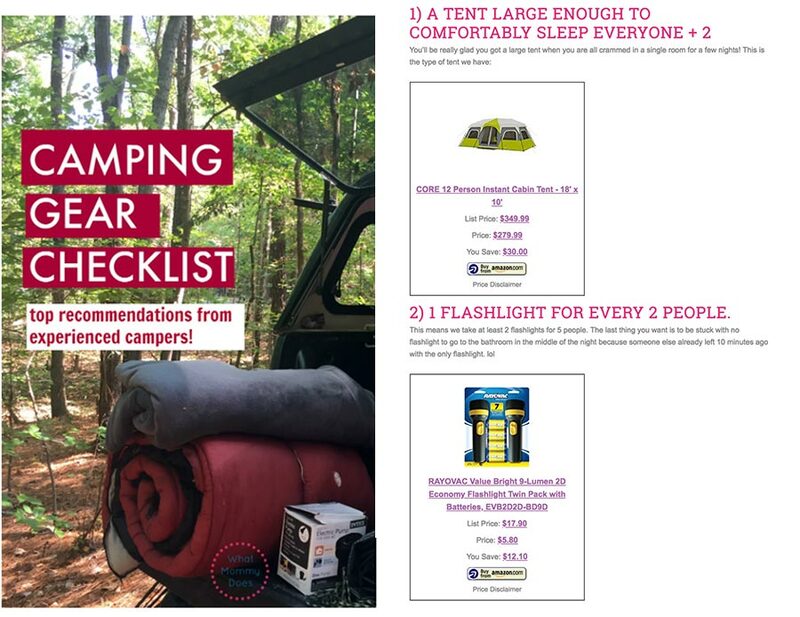 I understand that camping might be your jam, but you can for sure find thing on Amazon that are relevant to your business and customers. For the first wee bit of being an affilate, you need to focus on getting your systems set up, rather than selling products. To be an affiliate you have to have a way to influence people to buy what you are selling. This means that you will have to have some kind of platform where you can recommend your chosen affiliate products. For this post I am assuming you already have a website for your business and you are just folding your affiliate marketing efforts into what you are already doing. 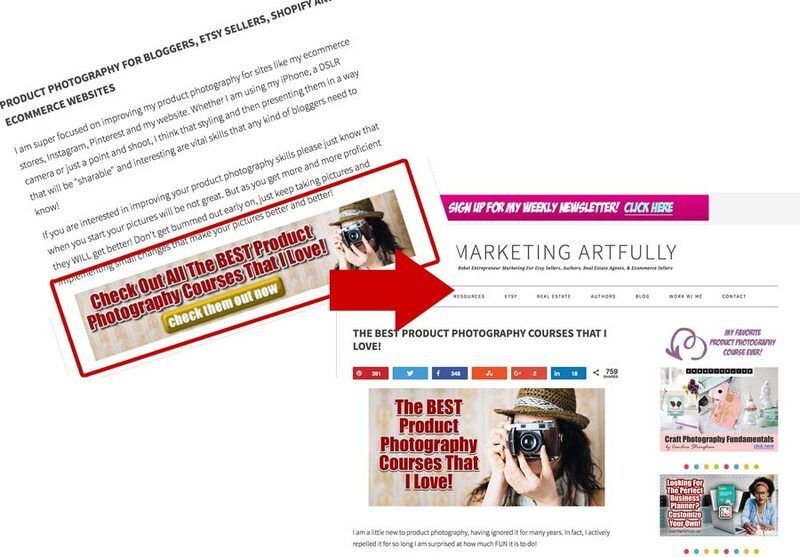 If you need to set up a site from scratch, I recommend Pat Flynn’s niche site info! More about how to market on your website later! The next thing you need to have is an email provider. This could be a simple one like MailChimp or a big one like ConvertKit. You need to have an email list because people rarely buy the first time they hear about something. Yes, you could plan on just driving hundreds or thousands of clicks at an affiliate link, but that is silly. Instead you should start an email list that you can send many offers to over time, BECAUSE you know they like the niche that you have picked! 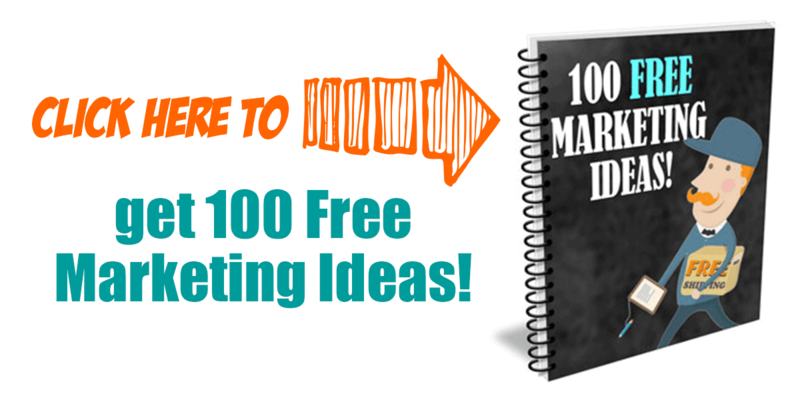 How Do You Get People On Your Email List? 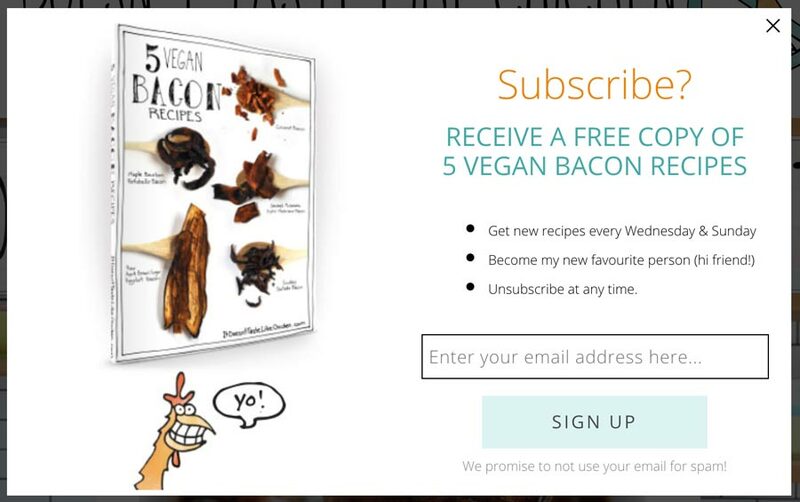 Or you could do like the one of my favorite vegan websites does and offer free “bacon” recipes. This works well because people like me (non meat eaters) miss bacon SO MUCH! Functionally, you want to find out what people in your niche are most excited about and give them that! 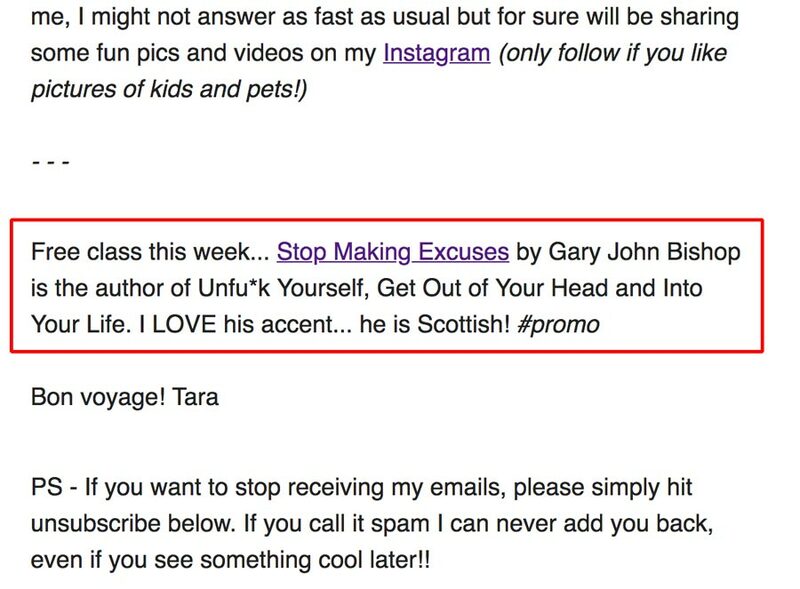 This gal uses a popup on her site, I use the bottom of my post, either works as long as you get people on your email newsletter. Additional Resource: I like the Milo Tree popup because it is discrete and affordable. I send them something every 5 days. That seems long enough that they don’t forget who am, but not so close together that they start hating my guts. Some people recommend emailing your affiliate list every day and that is FINE as long as you let them know that is going to be what happens when they sign up! After someone has been through your onboarding sequence and is back on your newsletter list, you will want to send them a weekly email newsletter. This should be full of things that you think they will find interesting and then a link to an affiliate product that you think they will also like! As you can see I had a link to an affiliate program AND to my Instagram. That link goes to an affiliate product which pays $1.00 for every person who signs up for free to watch the course. While I don’t make millions from this, I do make about $100 a month from including these links. One thing to note (and I will go over this more in depth later) is that I have the #promo notation there to show that it is a sponsored placement. Not being transparent can get you in real trouble with the FTC and for me this is a no-brainer. I know by now you are probably like, this could be so much easier if all I had to do was use Facebook! I could just plop my affiliate links into a post and, BAM, I am making money like crazy. But that is not actually true. Very few people will read your one or two line “pitch”, click to a website, be sold on that product and buy. Sales is about helping people solve their problems and for you to be a good affiliate, you have to be somewhere in the middle of them learning about options and then finding out a solution. Can you post affiliate links on the social media platform? Facebook – Can I promote affiliate product with facebook advert? “We don’t have any policies against advertising with affiliate links, but you’re required to make sure that the landing URLs and website content adhere to our ad policies.” So yes, if the affilate landing page complies with Facebook’s terms of service. Twitter – You may not use Twitter’s services for the purpose of spamming anyone … if you post misleading, deceptive, or malicious links (e.g., affiliate links, links to malware/clickjacking pages, etc.) So looks like a no. Instagram – Instagram pretty much follows Facebook, but with the exception that you could use your one link in Instagram to go to an affiliate product, but we talked about that already and it is not a good idea. Pinterest – Pinterest allowed affilate links when they started, then stripped them all out for a while, then allowed them again. So today, yes, but they could erase all your hard work again pretty easily. LinkedIn – It is against policy to, “Post any unsolicited or unauthorized advertising, “junk mail,” “spam,” “chain letters,” “pyramid schemes,” or any other form of solicitation unauthorized by LinkedIn; LinkedIn User Agreement So I would give this a no. Remember that niche we talked about ages ago, it really comes into play on social media. You are going to want to produce social media posts and content that will get people excited about the product(s) you are representing. With that in mind you want your social media accounts to be in line with the branding you picked for your website or to be a match for your niche. If you are using your own social media sites, make sure that you fold your affiliate offers into your regular content without looking like a big ole spammer! 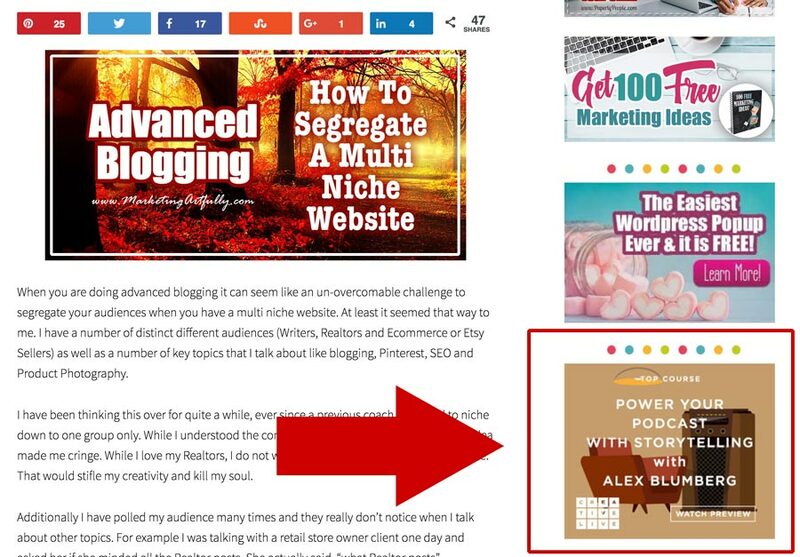 You can post a mixture of content from other people and links to your affiliate products, blog posts or videos where you can get a chance to sell to them. If you are using a scheduling software like MeetEdgar, Hootsuite or Buffer, you may run into trouble if you are using straight affiliate links in your scheduled posts. I use MeetEdgar because they have a “library” that you can save posts in and schedule them to go out over an over again, instead of having to schedule every darn thing. That said, the few times I did try to put a direct link to affiliate product in, they just bumped it right out of my queue. So what should you do? Good question! Now that you have some systems in place, how can you share your affilate links and still feel like you are in integrity with your “real” business? I use a plugin on my WordPress site called Pretty Links Lite to make these pretty urls, you could use bit.ly or goo.gl all are free to use. You can make a generic one like www.marketingartfully.com/seosoftware that you use to recommend ANY kind of affilate. That way if one affiliate program shuts down you just join another one and all the links in you have made are not broken! They all look sort of like this… you put your ugly link in and then designate what you would like your pretty link to look like! How Can You Add Affiliate Links To Your Blog Posts and Website? All throughout this post I have added regular links and affiliate links. If I am not an affiliate for a product that I think would be good for my audience I just add it anyways. The point is to do affiliate links when you can, but not to limit yourself only to links that could make you money! Sidebar banners are not going to change your life money-wise, but I do see sales come through that have to be from one or the other of the sidebar banners I have on specific pages. If there are a lot of different products that I can recommend I will make a roundup post of those items and then have a sidebar or “inline” banner that points to that particular post! In this instance I am using a category page about product photography to point to a roundup post of product photography courses I recommend! How Can You Add Affiliate Links To Your Videos? If you are using a link cloaker it is pretty clean to add affiliate links to your YouTube or Facebook Live videos. Just add a related link to products you are talking about anyways and you are ready to go! In this video I am talking about a product that I am recommending as an affiliate. As you can see I included a note (#promo) to show that it a promotional link. The beauty bloggers are great using YouTube to sell affiliate products. They will do a video and then list all the products they used below with links to buy the products. How Can You Add Affiliate Links To Your Social Media? Okay, this is the hardest one to tell you because I know it might make you sad. I ONLY add links to blog posts or videos that I have done that then have affiliate links in them, I rarely link directly from social media to an affiliate offer. I KNOW, this means that you have to do more work. You might have to write a blog post about a topic that you can reference your affiliate product in or do a video that links to it, but hear me out! Because most social sites don’t like affiliate links, it really is silly to mess up your “real” social sites or reputation by spamming Facebook or Twitter with link after link to affiliate products. Instead take some time and make resources that explain WHY you like that product so much and then link to that! Additionally, if you drive people from social to your website you might get their email address or if you drive them to your YouTube channel they might subscribe. Again, we want to make sure that we are not just posting and then letting those people wander away without trying to get them on our lists! What Does A Good Social Media Affiliate Post Look Like? Here is a great example of a post that really caught my eye! 20 Things You’ll Love On Amazon If You’re Shady AF! I had to click through, being as I am aspiring to be shady and all! So what did this add accomplish for the Bustle people? 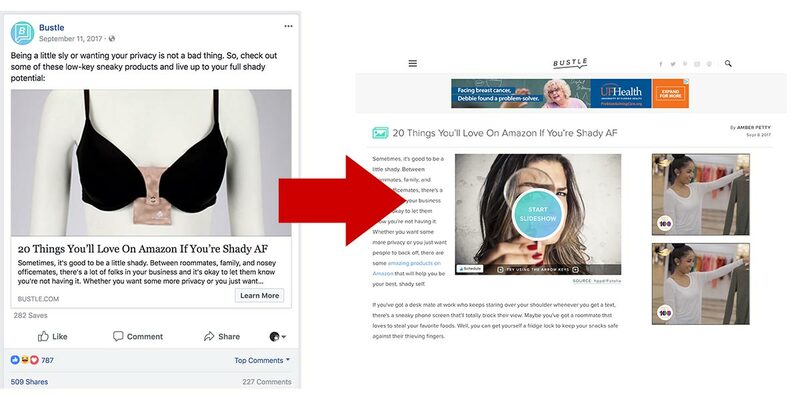 They drove traffic to their website, increased the odds that someone would click on their banner ads AND each of the 20 things listed was an affiliate product that someone could buy from Amazon! I didn’t notice that they had an email signup, but they may be adding to their list too! Dang, that was a good ad. Well this has gotten really long, but I wanted to give you some info about how I have implemented affilate marketing into my business and things I have figured out over the years. Many of the affiliate programs will have email templates that you can send out to your list. Some of them are A-M-A-Z-I-N-G but most of them are actually just long sales letters that everyone else is cutting and pasting too. If you have a list of people you mail to regularly make sure your “voice” comes through in the messages that you are sending your peeps. Don’t just copy and paste that affiliate email, really make sure it sounds like you would have written it yourself. Can you have multiple niches? I have multiple niches and feel like it is my resposibiity as a webmaster and list owner to make the different niches feel comfortable. With that in mind I segregate my lists and website so if a real estate agent comes along, he will feel like the entire experience is geared towards him. 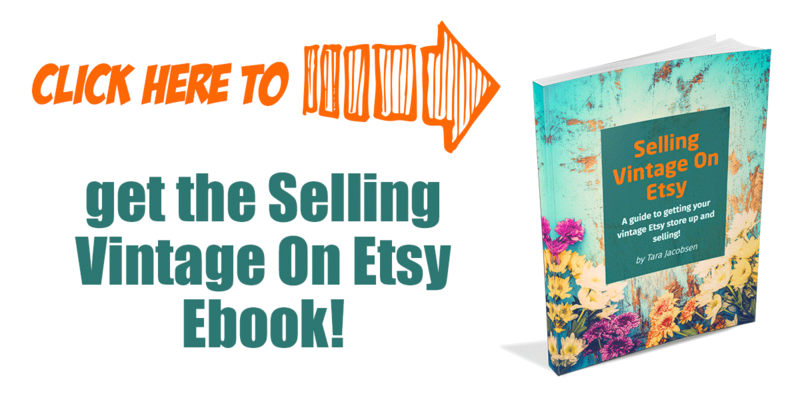 If an Etsy gal shows up, she will mostly just see Etsy info! Let’s get this out of the way right up front, I am NOT a lawyer and if you have any questions that go beyond my understanding, please seek legal council! The Federal Trade Commission got all fired up over affiliate sales and said we have to disclose that we are actually promoting a product, rather than just being something we recommend. That is understandable I and I find it super easy to comply with the law! For example, at the top of this post I put a disclaimer stating that there were affiliate links included. BEFORE I listed any affiliate links. I know some people like to get cute and say the disclaimer is in their policies or sidebar, but according to what I have read this is not acceptable to the FTC because people do not see those things before encountering your links. Now, you would think they would have a standard disclosure you should use (they don’t) or that they would have very clear rules (they don’t) but it is pretty loosey goosey. I just make sure that if I don’t do a blanket disclosure at the top that I put (#promo or #ad) beside any affiliate link I include. Once you start having some success as a blogger or as an affiliate, you can join networks that have a whole bunch of different kinds of products all in one place. My favorite network is Share A Sale. I represent a number of different merchants from in there including Tailwind, Craftsy and CreativeLive. The nice thing about about this kind of network is that you don’t have to keep signing up and signing up. You kind of get “vetted” and then can sign up for different merchants that match your business. > Find out more about the Share A Sale program. Many businesses have affilate programs that are not in a network. To find these kinds of programs, make a list of products and services you use regularly and then go to their website and go to the bottom of the site. You can check and see if they have an “affiliates” link there to sign up. For example, this is what I found at the bottom of the Godaddy website. I use Godaddy as my hosting so that would be on my list of products to check out for affiliate programs. It is fun to log in and see how your progress is going (how much money you are making!) Most affiliate programs pay out monthly or with a 2 month delay (Amazon). Hopefully this has helped you to understand more about joining and promoting affiliate programs ethically in your business. Please don’t get discouraged if there is a bit of a slow start with your affiliate efforts. It is a sort of building up of your efforts over time.